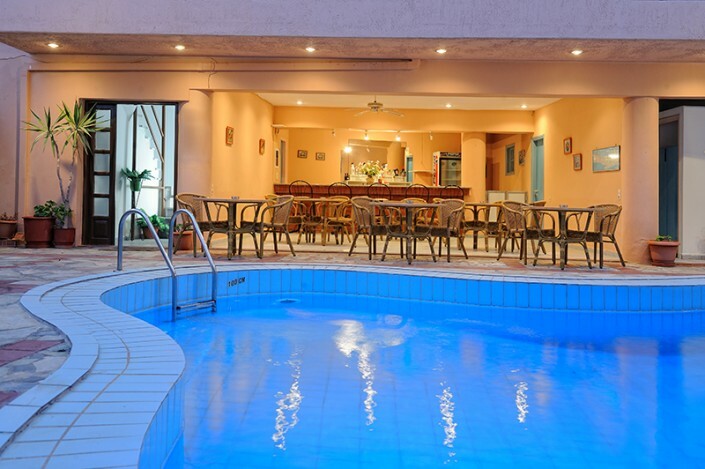 Cleopatra apartments & studios is a family owned property, set on a beautiful, quiet and elevated position, just 150 meters away from the centre of Hersonissos, 50 meters from the nearest sandy beach and 100 meters from the harbour of Hersonissos which it’s famous for its nightlife. 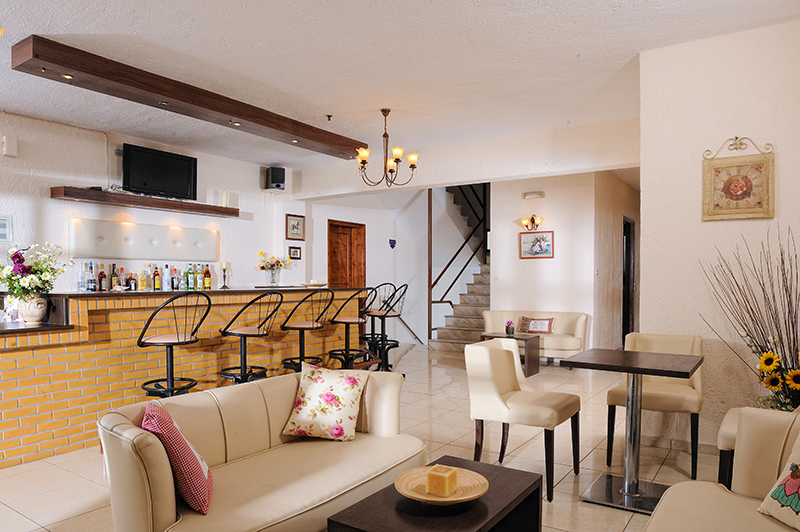 Cleopatra apartments combine high quality with a comfortable family atmosphere that will make your stay unforgettable. 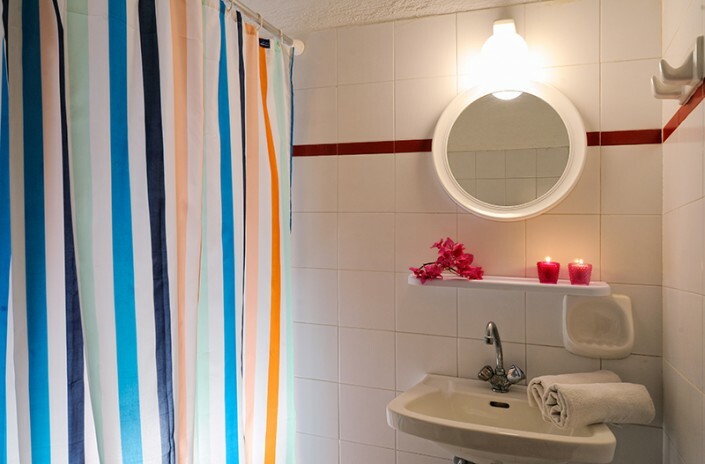 Cleopatra apartments is a modern complex of 20 apartments and studios. There is a sweet-water swimming pool with free sun beds around the pool area, a pool bar, an indoor bar and a reception area where guests can enjoy either reading their book or watching TV. 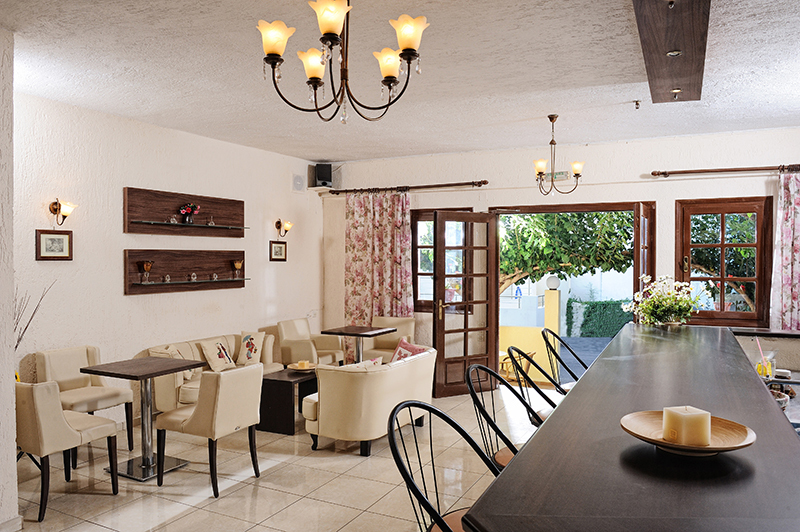 Free wifi internet access around reception area is available as well. 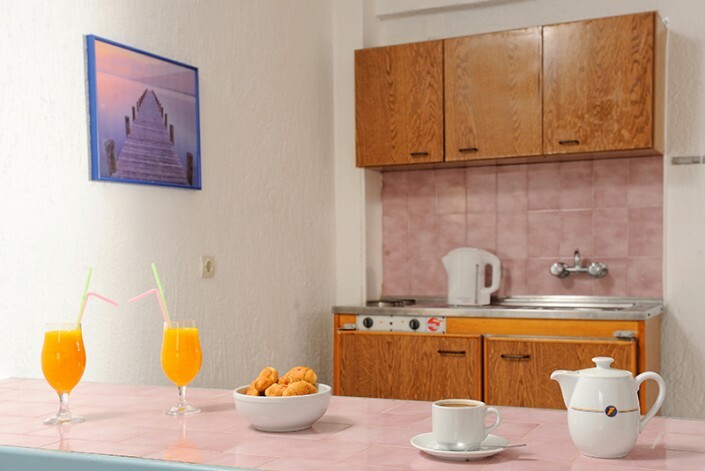 It is consisted of 2 blocks, having 11 apartments for 2-4 people and 9 studios for 2 people all self –catered with sea or pool view. 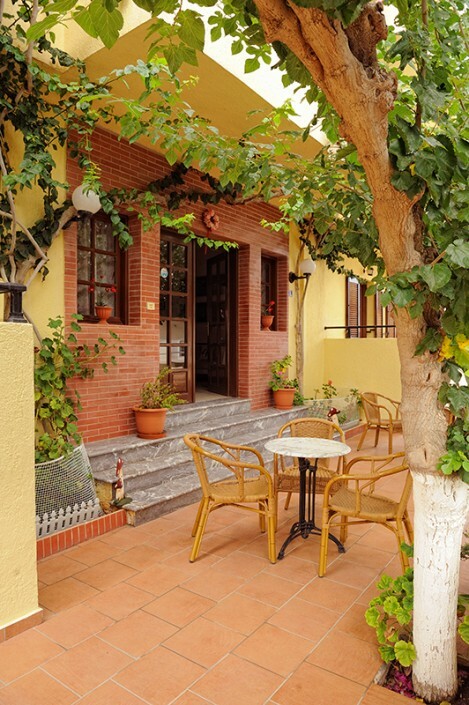 Each of them has a fully equipped kitchen, fridge, WC/shower, balcony or terrace, safety box and air-condition for hire. Efficient maid service is provided and towels and linens are changed twice a week. All beds are Cretan style (a mattress on a fixed concrete base). Free parking is available within the limits of the property. 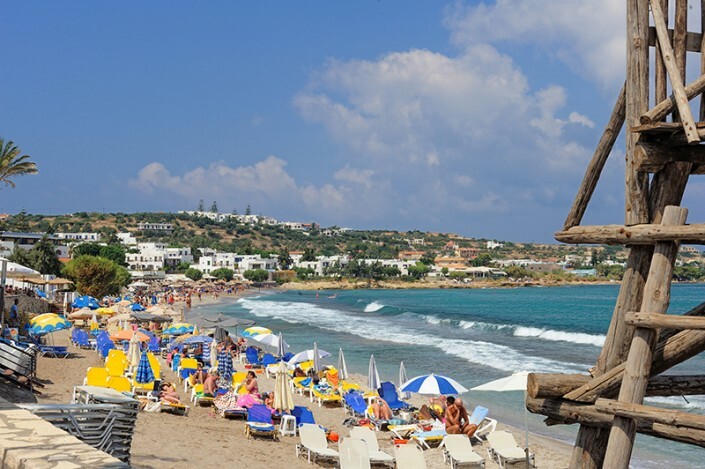 Located in the central-north part of Crete, 25 km from Heraklion, the capital of the island, Hersonissos nowadays is considered as the most developed tourist resort of Crete. 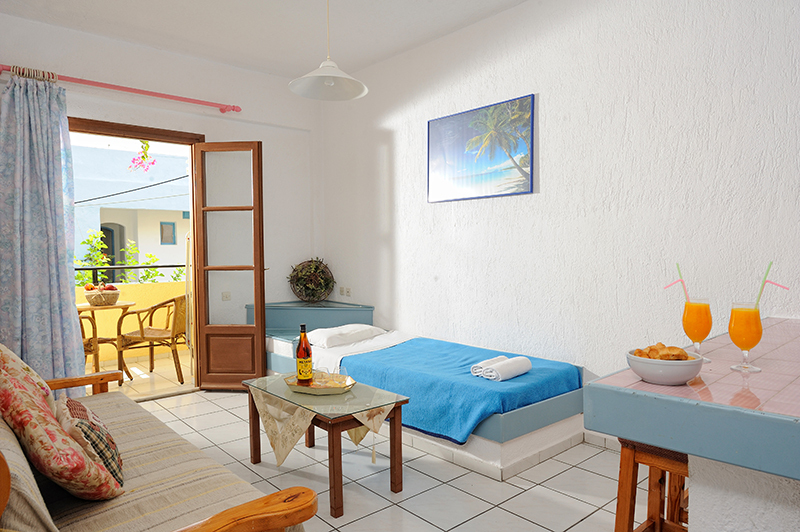 Due to the high range of quality services and attractions provided the area is able to fulfill all the expectations. 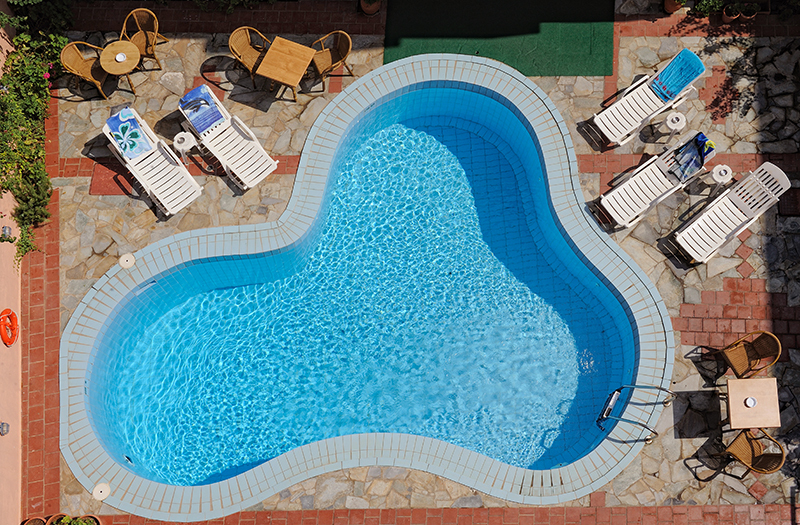 Cleopatra apartments enjoys a central location, right in the heart of hersonissos and closed to all local amenities. Supermarkets, pharmacies, motorbike rental, restaurants, cafes, bus station etc are short away. The cosmopolitan port of hersonissos is just 200 meters away while the nearest beach is a 5 minutes walk. 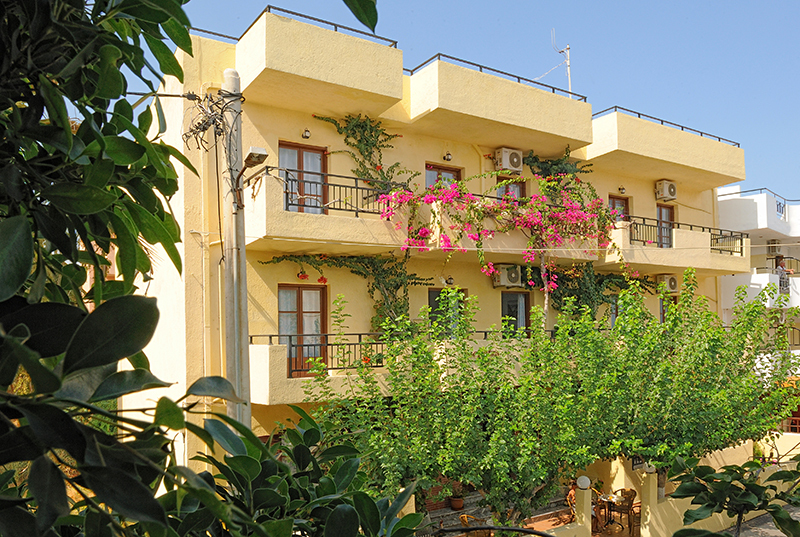 Creta Maris congress center is a pleasant walk away. 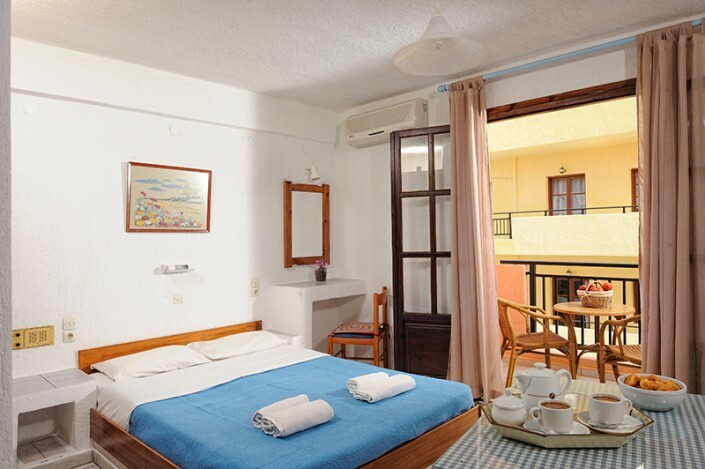 Cleopatra apartments due to its privileged location is the perfect base to explore hersonissos and Crete.